The baked bread. It leaked in a couple of places, but it didn’t matter one bit. In a skillet, sauté the garlic in the 1 tablespoon of olive oil for 30 seconds. Add the greens, nutmeg, salt, and pepper. Sauté until the greens are wilted, a minute or two. Put in a bowl and let cool. 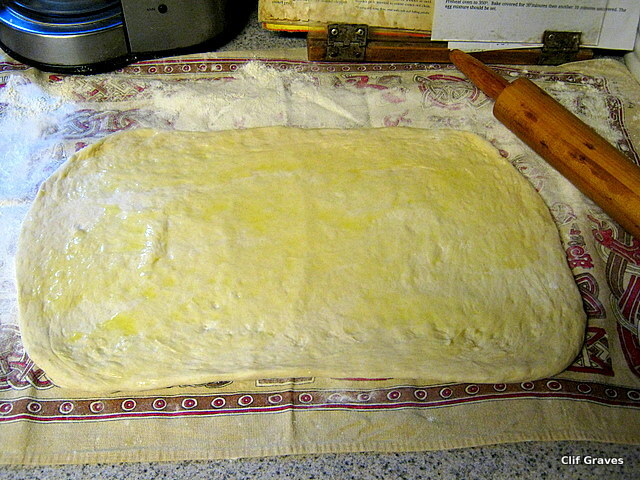 Brush the dough with olive oil. 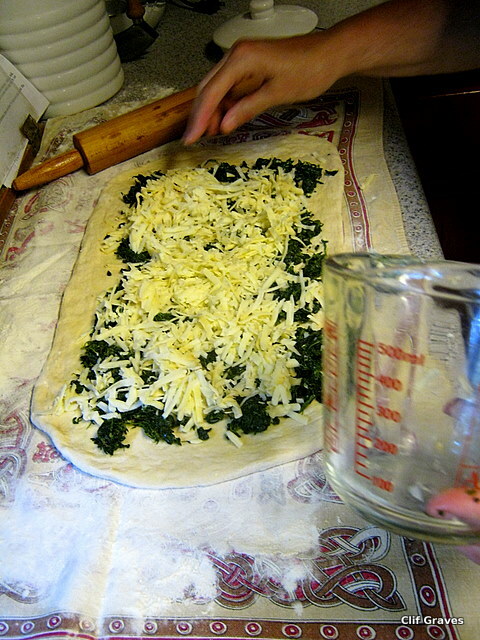 Spread the cooled greens mixture to within 1/2 inch of the edges. Sprinkle with cheese. 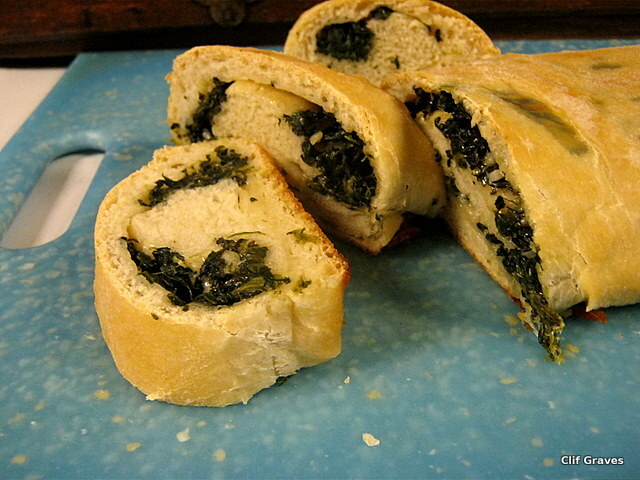 Roll up jelly-roll style, starting with the long side. Pinch seam to seal. 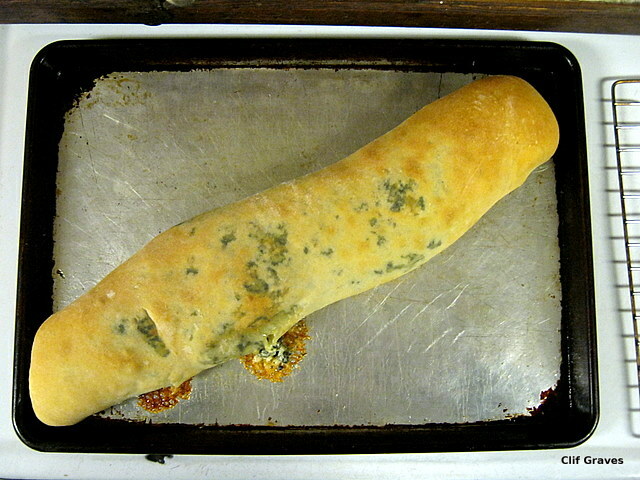 Place the roll on a greased baking sheet. 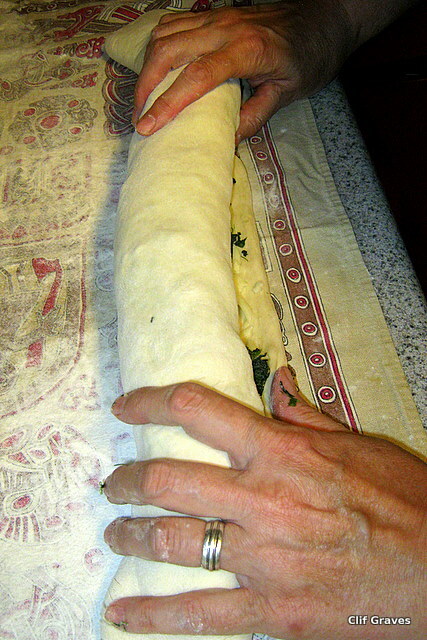 Pinch ends and tuck under the roll. 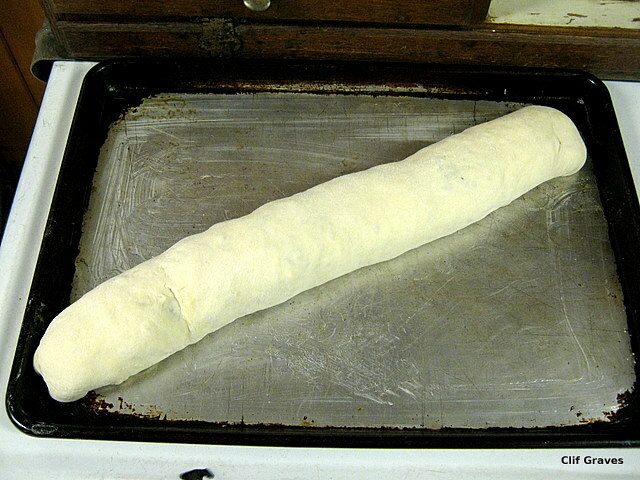 Cover the roll with a light cloth, preferably linen, and let it rise in a warm place for an hour or so, until the roll is puffy. (It doesn’t have to double in size.) I usually put a pan with hot water on the bottom rack in my oven and put the dough on the middle rack. 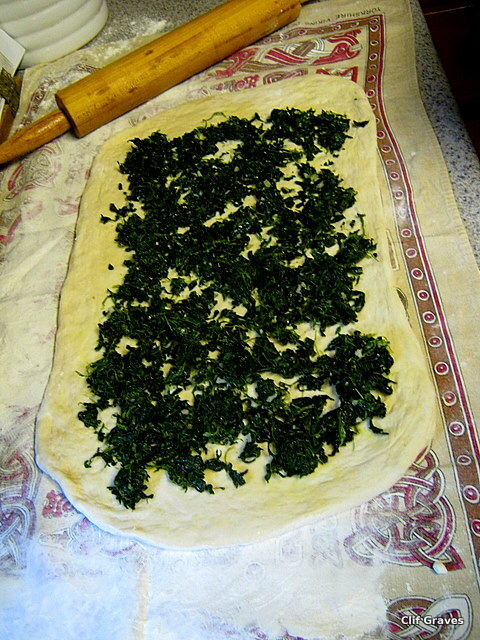 This gives the dough a warm, moist environment. Bake at 350° for 30 to 40 minutes until the roll is golden brown. Remove the roll from the pan to a wire rack. Let stand for 10 minutes before slicing. Serve warm or at room temperature. Yield: 6 servings. It really is delicious. Alice came up with a keeper, that’s for sure. 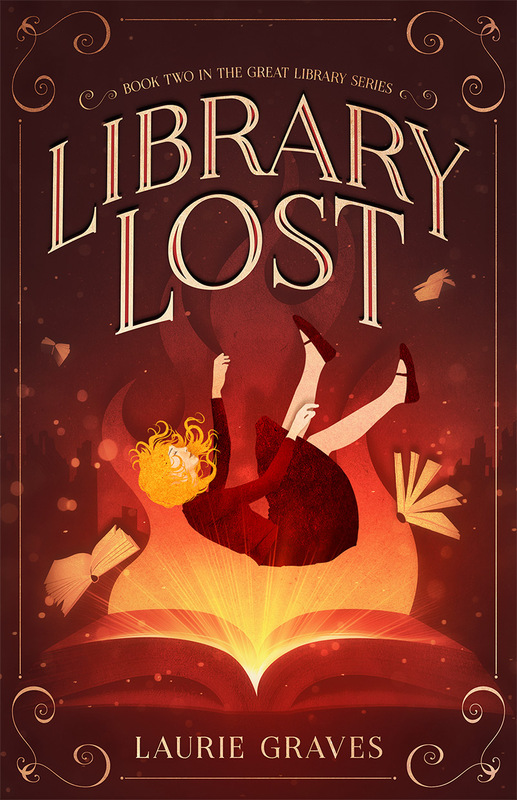 This looks fabulous – and right in time. I will try it this weekend – and, what??? Nutmeg??? Yes, yes, Jodie. Just a pinch. I love this! A must-try, for sure.